Students are provided with audio visual classes in which students can understand better. Video and graphical interpretations shown to the students gives them clear picture of concepts. 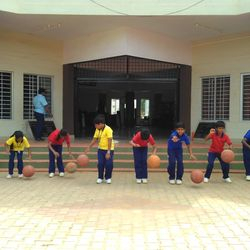 Students are actively taking part in Co-curricular activities. 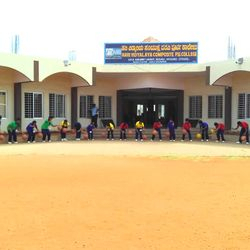 Several co-curricular activities are conducted during school hours. 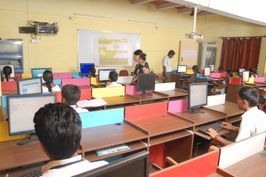 A sophisticated computer laboratory gives the good environment for students in creative learning. 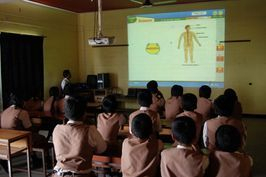 An equipped science laboratory with different apparatus are provided to the children. Experiments will be conducted according to the allotted timetable. More than 3000 books are in there in the library stack. Books on different sections like Science, Mathematics, Social, Languages like Sanskrit, Hindi, Kannada, comics, dictionaries and encyclopedias are provided. 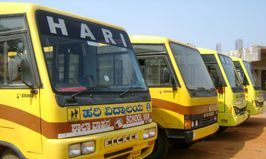 Four School buses are arranged to pick the students from all the corners of Mysore city. 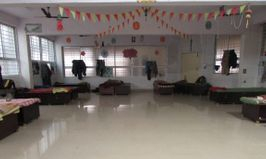 Facility of different indoor games like carom, chess, table tennis are provided. Students are made to learn math through several activities. Hari Vidyalaya proudly announces opening of hostel facility for boys (from the year 2018-19) in our campus. Having secured Gold Medal in the year 2014 in M.P.Ed Mr. Srikanth is very enthusiastic player in the game of Basketball. He trains students in such a way that they will come to know tactics of Basketball game. Students are well trained by our faculty and the children are sent for tournaments at the district level. The students have bagged several prizes. She is our dance teacher with difference. She involves the children to give out their best, which was evident in our School day programme. Many children have bagged prizes under the tutelage of Mr. Sunil, who also teaches karate in our institution. They gave a wonderful performance in our day programme. The classes are being conducted by Mr. Aravind Hulikal Iyengar, who is an expert in playing keyboard. Students have excelled in table tennis under the guidance of Mr. Umesh Urs. Students have participated in National Level competitions also. Mrs. Geetha Kumari, who is a expert in yoga. Trains the children for competition. Children gave an excellent performance in our School Day.